This easy soup can be made in one pot in under 20 minutes! It’s Low Carb too so that’s a win-win for me. Hubs crushed tortilla chips over his soup, so if you aren’t dieting like me, go for it! I used RO-TEL tomatoes to give it that extra spice. Garnish with ripe avocados and sour cream. 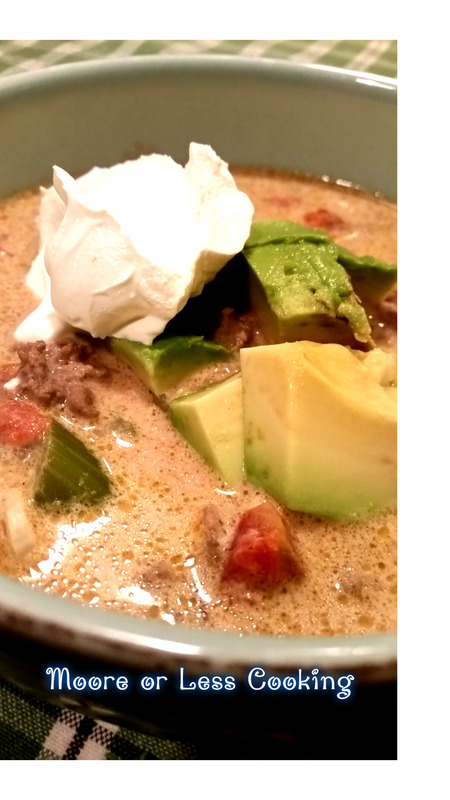 This soup is perfect on a winter day! 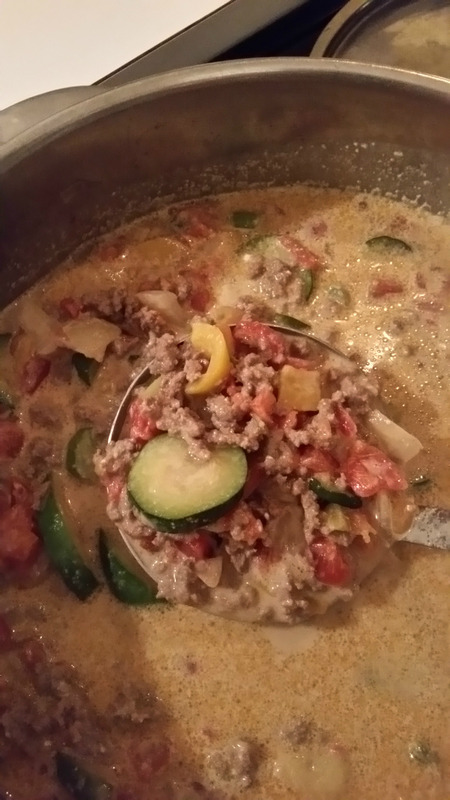 Full of veggies with a creamy beef broth and a spicy kick. 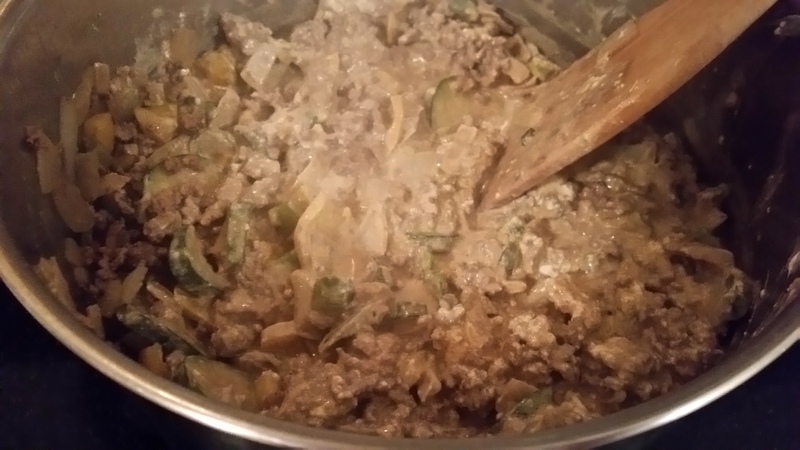 What you will need for this delicious soup: olive oil, zucchini, pepper, ground beef, onion, celery, garlic, cumin, chili powder, cream cheese, Ro-tel tomatoes, beef broth and a large Soup Pot. 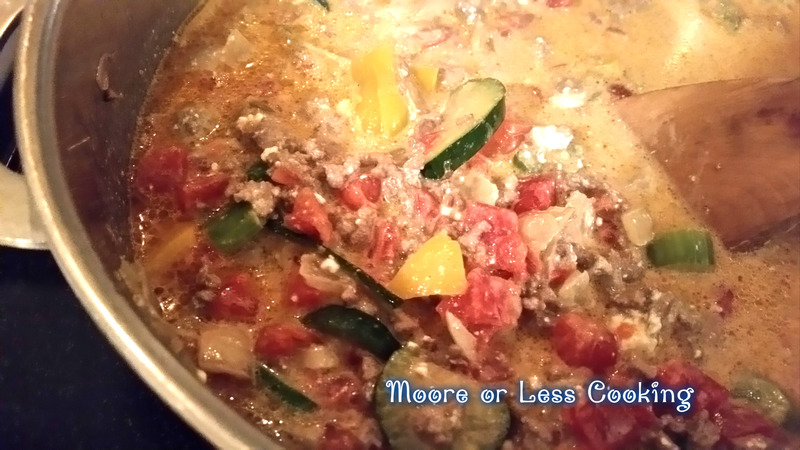 In a large soup pot, add olive oil to pot over medium heat. 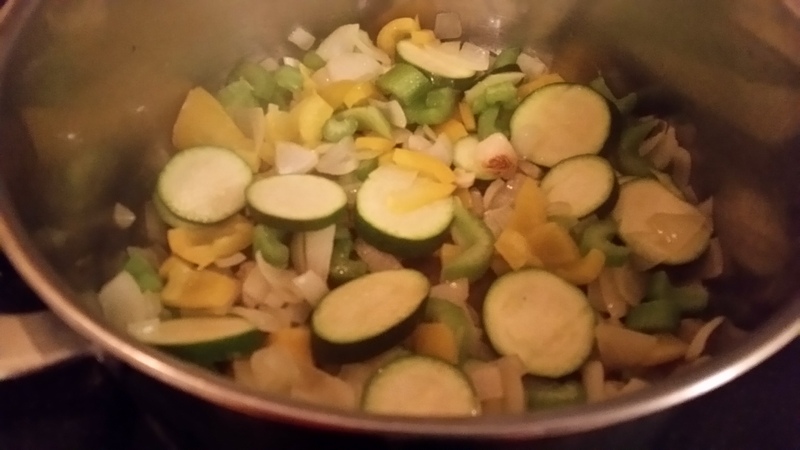 Add chopped veggies, saute for a couple minutes. 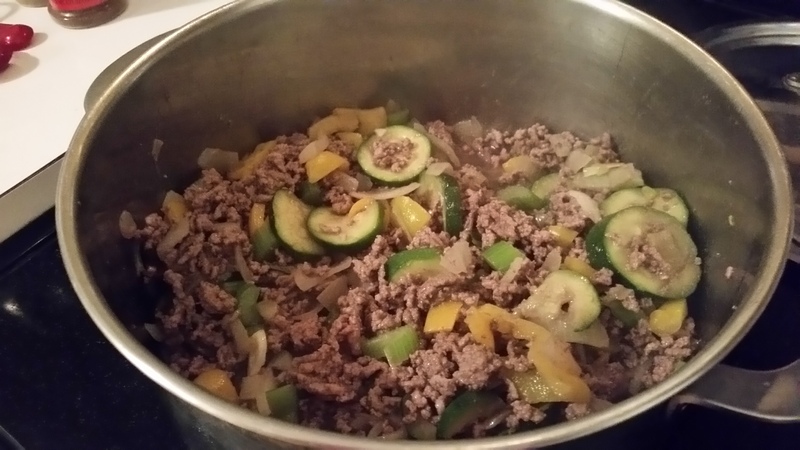 Add ground beef to veggies and cook until browned. 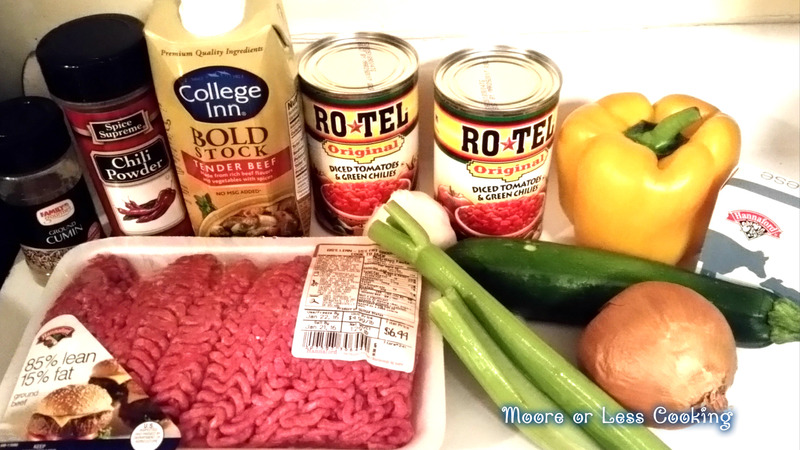 Stir in beef broth, spices and Ro-Tel tomatoes. Let simmer on low heat for 10 minutes. 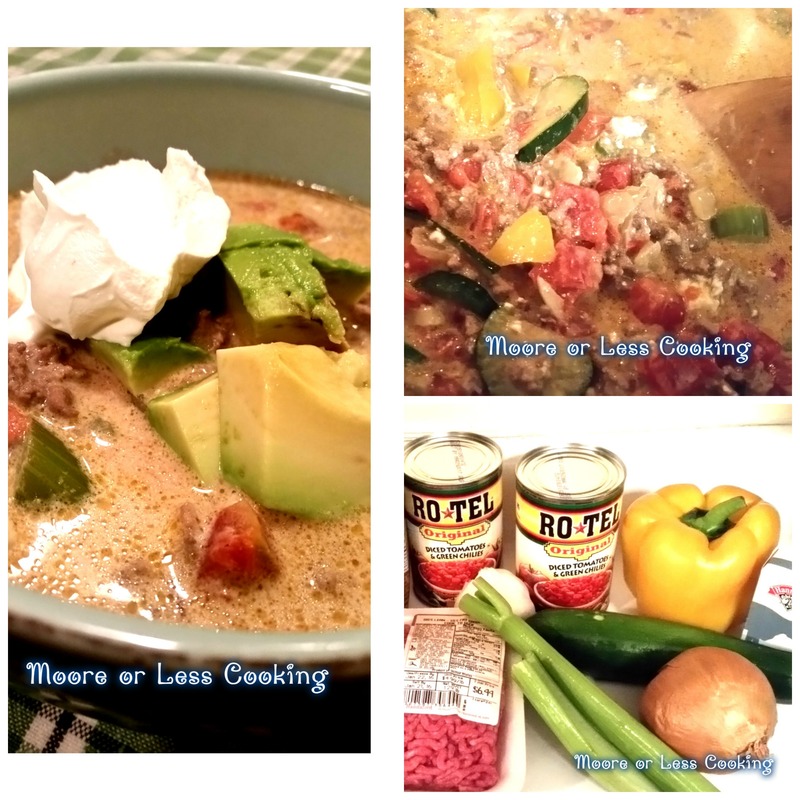 This is my new favorite soup, love that it can be made in one pot, under 20 minutes! Ladle a couple scoops into a bowl and add garnishes! Enjoy!